For any of you that have been waiting to get your hands on the Glacial Silver color variant of the HTC One M8, the good news is that AT&T will be carrying the device starting next week. Prior to this launch, the unlocked GSM model and the one carried at Verizon were the only option users here in the US had if they wanted some other than the Gunmetal Grey for HTC’s new smartphone. Thankfully, the exclusivity that VZW had on the alternative color will be over soon, giving AT&T subscribers a chance to pick this up through their carrier at a cheaper cost with a 2-year contract. The phone is slated to head to stores on April 25th, so there isn’t much longer of a wait. The downside here, is that AT&T and Verizon seem to be the only US carriers that will actually sell that particular of the device in store and in their respective websites. Furthermore, HTC America President Jason Mackenzie has stated that the color options won’t be available through all carriers. While VZW and AT&T seem to have both Gunmetal Grey and Glacial Silver available to them, Sprint customers have Gunmetal Grey, but Sprint is also the only carrier who is reportedly going to have the Amber Gold option as long as those Sprint customers purchase their device through Best Buy stores. Most disappointing of all for some, is that T-Mobile will only be carrying the gunmetal Grey option, although as stated above the Glacial Silver HTC One M8 is available unlocked which can be picked up at Amazon. In addition, if you use T-Mobile or any other GSM carrier, the unlocked HTC One M8 in all three colors can be purchased directly from HTC themselves. There has also been mention of two new colors entering the mix, and that a Stealth Black and Stealth Red version of the HTC One M8 would be making their way to shelves in the near future, with rumors that a Glamour Red would be heading to Verizon. The Stealth Red and Glamour Red could potentially be the same color and if so, whether or not the color option would be exclusive to Verizon is unconfirmed. 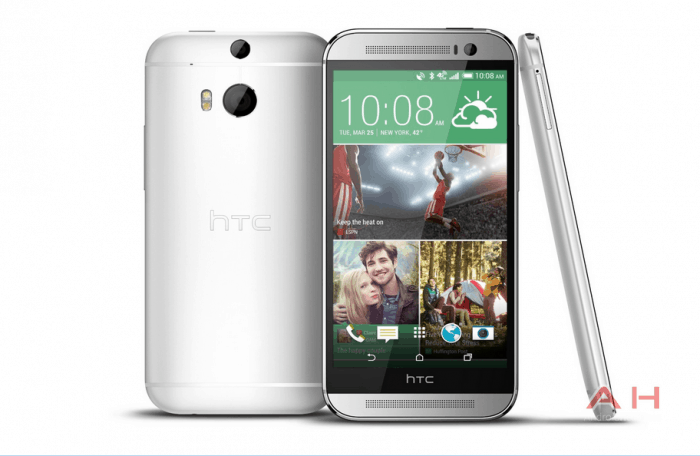 The post Glacial Silver HTC One M8 Hits ATT Shelves On April 25th appeared first on AndroidHeadlines.com |.